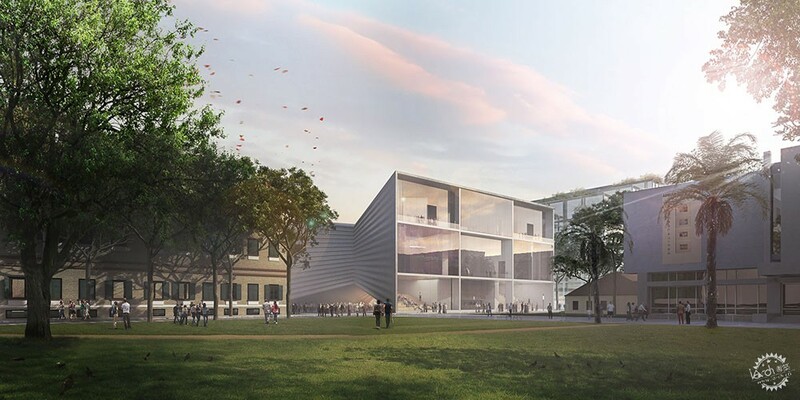 Bjarke Ingels' architecture firm has unveiled its design for a new theatre building in Tirana, Albania, in the shape of a bow tie. 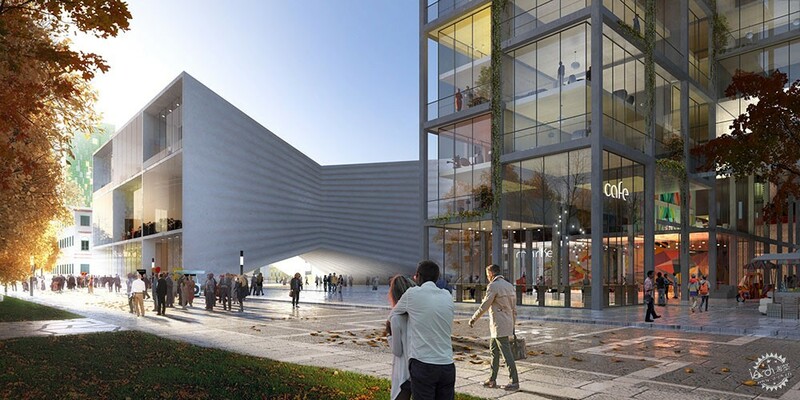 The National Theatre of Albania is set to replace the city's existing theatre, providing three auditoriums, a rooftop amphitheatre and a public plaza. The arrangement of these five spaces determined the building's unusual shape, described by BIG as "bow-tie-shaped". 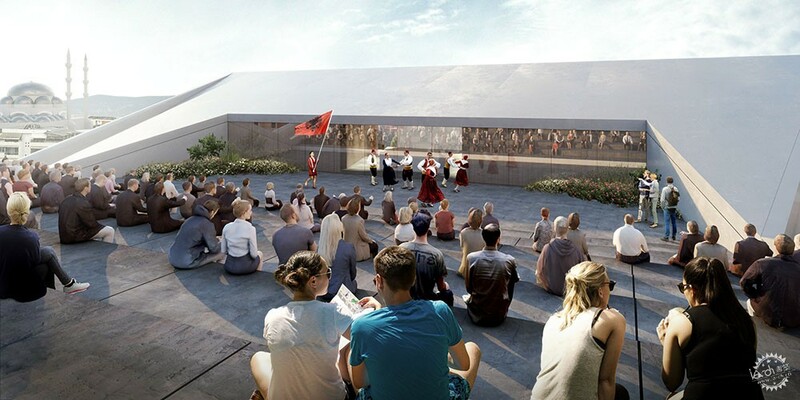 "Our design for the new National Theatre of Albania will continue the city's efforts for making Tirana's public spaces more inviting and its public institutions more transparent," said Bjarke Ingels. "The theatre is conceived as two buildings connected by the main auditorium: one for the audience and one for the performers," explained the architect. 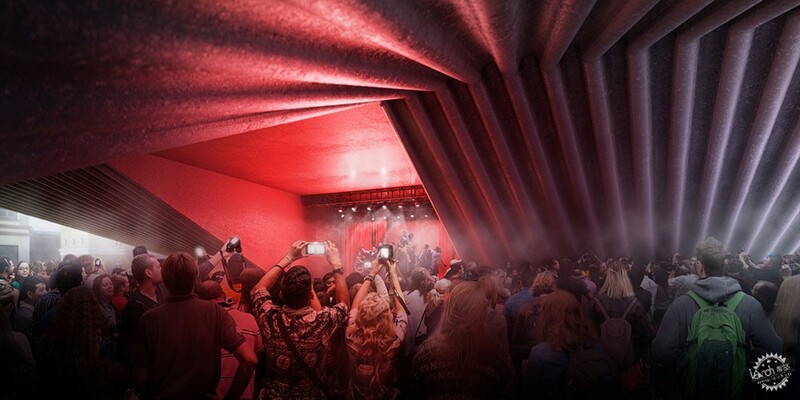 "Underneath, the theatre arches up from the ground creating an entrance canopy for the audience as well as for the performers, while opening a gateway to the new urban arcade beyond. 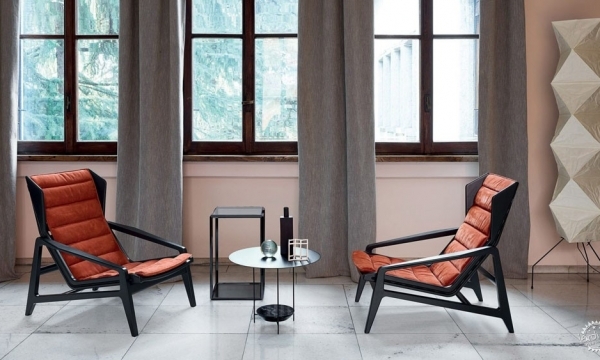 Above, the roof mirrors the archway, forming an open-air amphitheatre with a backdrop to the city's skyline." Glazing will span the facades at the two ends of the building, offering the public glimpses of the activities taking place within. BIG describes it as "creating a storybook for the public and allowing the theatre operation to act as a stage in its own right". 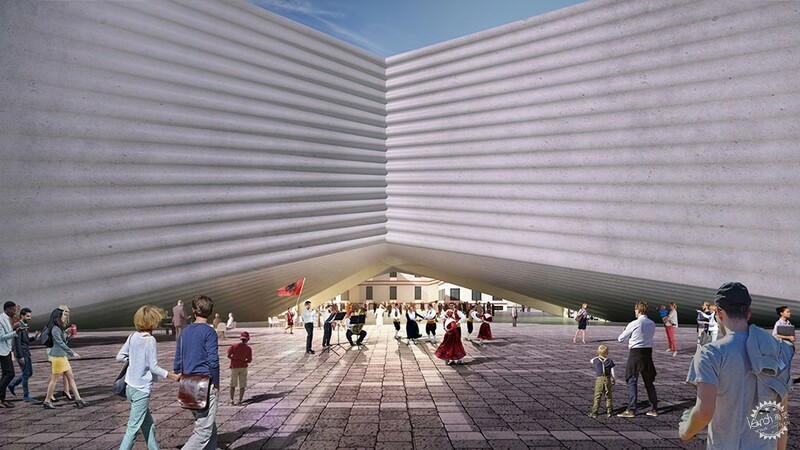 "The two main facades of the National Theatre of Albania are opened up to expose the spaces inside the building to the public outside," said Ingels. "One side reveals a foyer, lounge, bar and restaurant as well as two experimental stages to passersby, like rooms in a doll house. The other side reveals the entire section of the backstage, side stages, under stage and fly tower, exposing the entire theater machine to curious observers," he continued. "Where a theatre typically wouldn't be open to the public until the early evening, the new Albanian National Stage will become a spectacle of production as well as performance throughout the day." "Tirana is going through an era of unprecedented transformation and innovation," said Veliaj. "It is a leading child-friendly and pedestrian city with countless playgrounds and large car-free areas, as the Scanderbeg Square and New Bazaar. 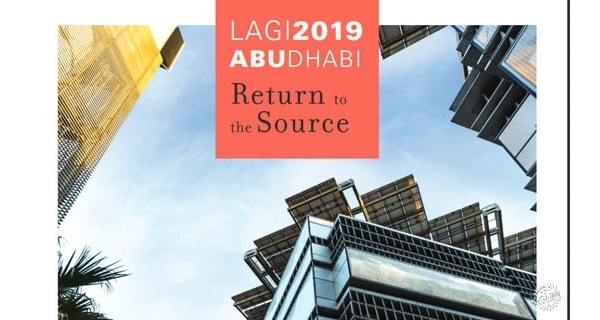 Tourism has also grown 2.5-fold in recent years as a leading city-break destination," he added. "BIG's new theatre will become a crown-jewel of this transformation in the heart of the capital. The 'bow tie' will tie together artists, dreamers, talents." 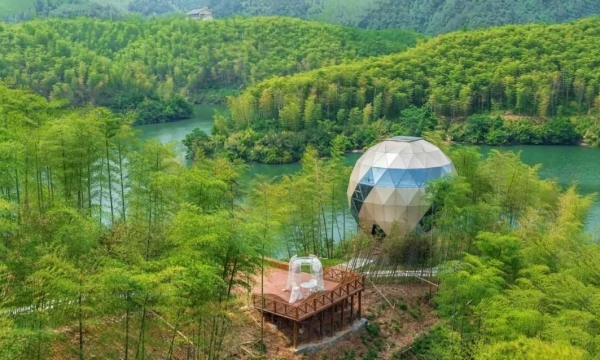 The Albanian capital is also now home to Sou Fujimoto's Serpentine Pavilion from 2013, which features a cloud-shaped grid of steel poles.